For those that don’t know, Google is heavily investing in Android Messages as its future of messaging on its platforms. While I would normally commend them on leveraging an agnostic web app, I really think they should also make the Android version more universal. I get that the Android Messages for web movement is a good workaround. It functions well and offers a decent solution across platforms. Honestly, in my solution, it would continue to exist as a fallback for my beloved Linux and non-Chrome OS systems. 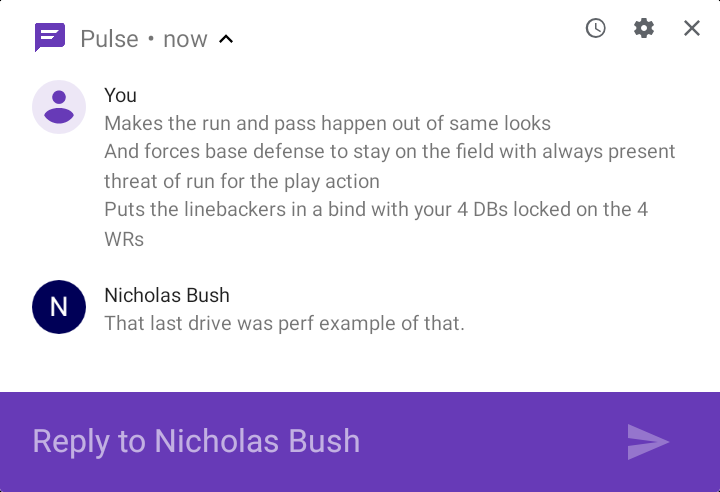 The web app needs to live on, but Android Messages should live up to its name as an Android application. See, Google has bet on Android, and the Google Play Store, as the endgame for apps on Chrome OS. With this in mind, Google should make the Android Messages app a proof-of-concept for what that future on bigger screens looks like. At the same time, Messages should also bring all the mature back-end functions of Android. Android would add to the experience in a couple of different ways. First, you would have better performance of an app that was naturally designed to run in the background. This would allow for notifications to be listening behind the scenes much like on traditional phones. And speaking of notifications, Android style pop-ups are just better than Chrome’s. They aesthetically fit the new look of the combined Settings and Shade. They also have the quick reply input options to respond to your messages directly from the notification. Finally, in theory, as an Android app Messages could be used on tablets as well. I know tablets are something of a dying breed, but many of us still use them on a regular basis as readers and bed stand devices. Android Messages is behind the curves of similar apps like Pulse and Pushbullet with available to respond to your loved ones on tablets. If Google wants to compete with the likes of iMessage, then the shift to RCS isn’t enough. 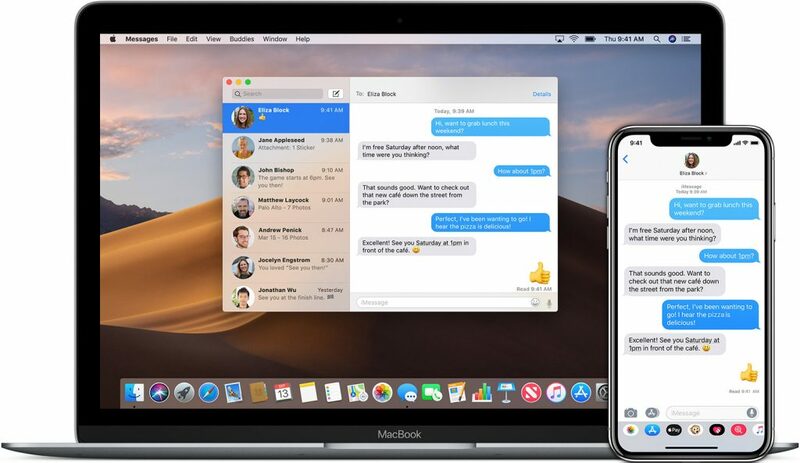 One of the reasons iMessage works so well for Apple is it gets treated like a first class application no matter the form factor or OS. It acts and functions similarly across OSX, iPhones, and iPads. Users get a robust experience on all its Apple-branded devices. That’s the type of overall polish Google needs to start exhibiting on Chrome OS. It will take time for this larger approach to be adopted by third-party developers, but the team at Mountain View should be setting the standard. There’s no excuse that Gmail essentially still has the same UI as it did on my Nexus 10 on my $1000 Pixelbook. Android and Chrome OS have grown up to premium hardware and the software should reflect the same. I’m not saying Google should copy Apple’s every move. Tim Cook and company have definitely made decisions that have driven me to Google over the years. However, Google can learn from some of the things that it has been successful with. iMessage is the most proven messaging app on iOS for a reason. Apple invested in making sure its users were provided the most fluid experience possible from one device to another.